Take on a true total-body workout today with our Fitness Kickboxing Classes in Ann Arbor. You'll keep your heart racing and your muscles moving like never before as you burn hundreds of calories in just one class. Our Fitness Kickboxing Classes at URSA Academy help men and women of all skills and abilities develop powerful strength and agility in no time. There's simply no other training program that's as exciting or motivating as our Fitness Kickboxing Classes in Ann Arbor. Our classes are always changing and keep you on your toes. You'll see concrete results in no time. Push yourself with the help of the high-energy class around you and walk away knowing you gave it your all. 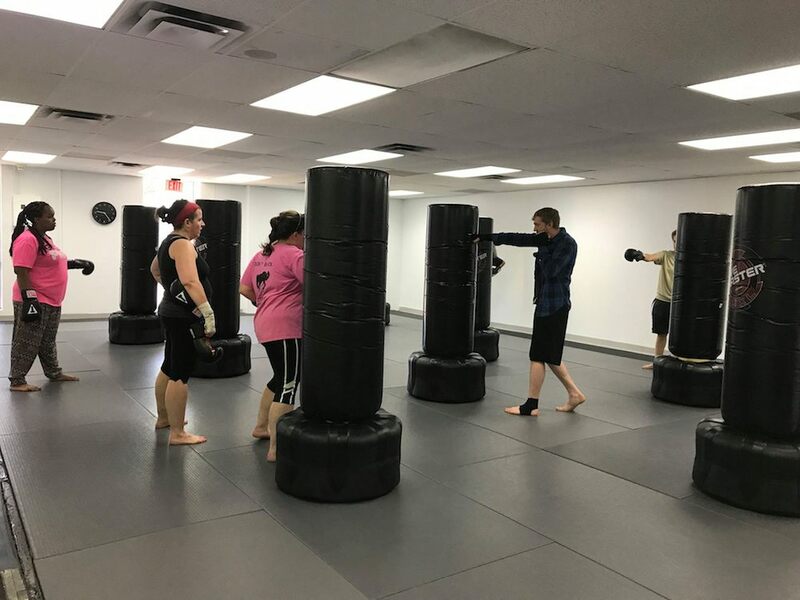 While our Fitness Kickboxing class centers on heavy bag and body-weight training, you'll walk away with a core set of skills that could be used in any real-world situation of violence. You'll be more prepared than ever to face down a challenge and defend yourself at a moment's notice. If you're not seeing the results you hoped for in your training program, it's time to make a change. Join us at URSA Academy today and get fit fast with our Fitness Kickboxing Classes in Ann Arbor. We are proud to work with men and women of all backgrounds and abilities. All it takes is a little drive to see unbelievable results in no time. To learn more or to get started today, all you have to do is fill out the short form on your screen!